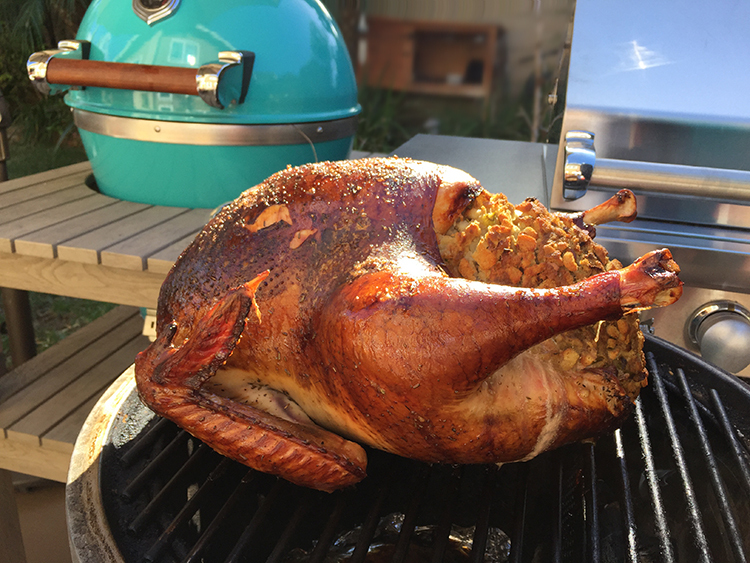 Enjoy the amazing juicy smoky flavor of this turkey that you get from the Caliber Pro Kamado. Wash and brine your turkey with your favorite dry brine. Inject turkey under the skin with one cup of apple juice. Stuff turkey with your favorite stuffing and cover exposed stuffing with foil before cooking. Prepare the Caliber Pro Kamado Smoker by filling the blaze basket accessory with lump charcoal. The basket should sit on the charcoal plate at the rear of the smoker with the hinged part of the grate above it so you can access it. Bring the temperature of the smoker up to 300ºF. Once the temperature has settled, place your turkey centered directly on the grate, breast facing up. 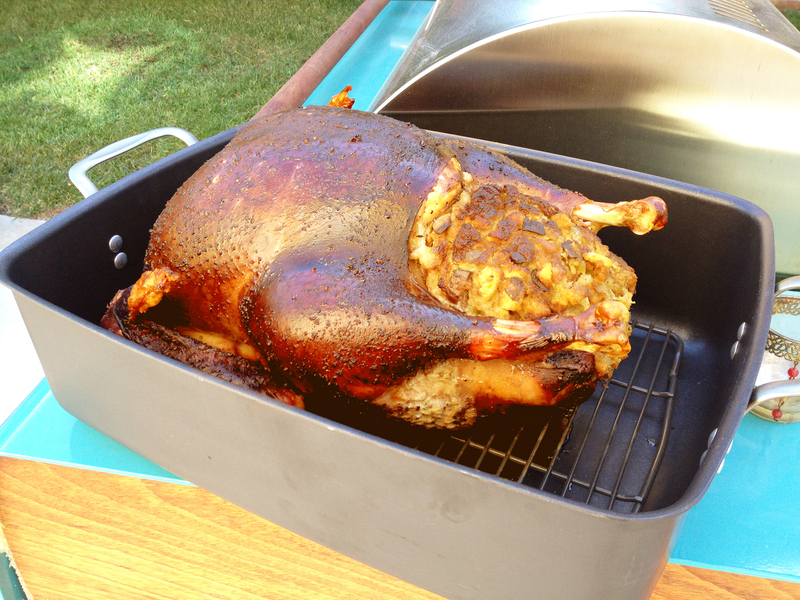 Allow 1” of space between turkey and smoker lid. Now add a small handful of apple and pecan smoking chips to the blaze basket and close the lid. The smoker will “smoke” for the first 30-60 minutes of the 3-4 hour cooking process (20-30 min. per pound). After this time, there should be “clean” heat exiting the top vent. Too much time with “smoke” may impart a bitter taste into your turkey. Continue to cook the turkey, checking on it every hour or so with the heat not exceeding 325ºF or falling below 250º F. If the skin darkens too quickly, then tent foil the turkey to avoid burning the skin. This will be a turkey like no other.